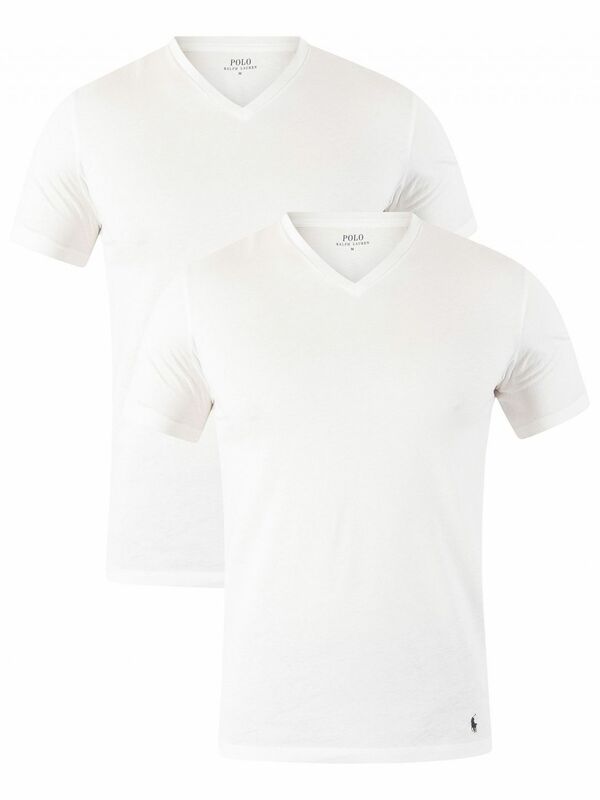 This Polo Ralph Lauren 2 Pack V-Neck T-Shirts for men has a plain body and standard waist. 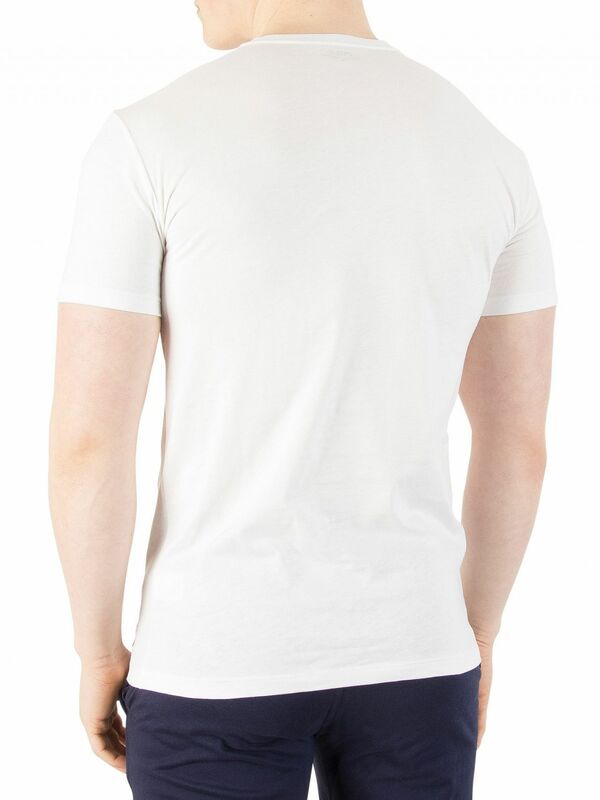 Perfect for night wear, the White coloured T-shirts bear a logo tab at the bottom front. 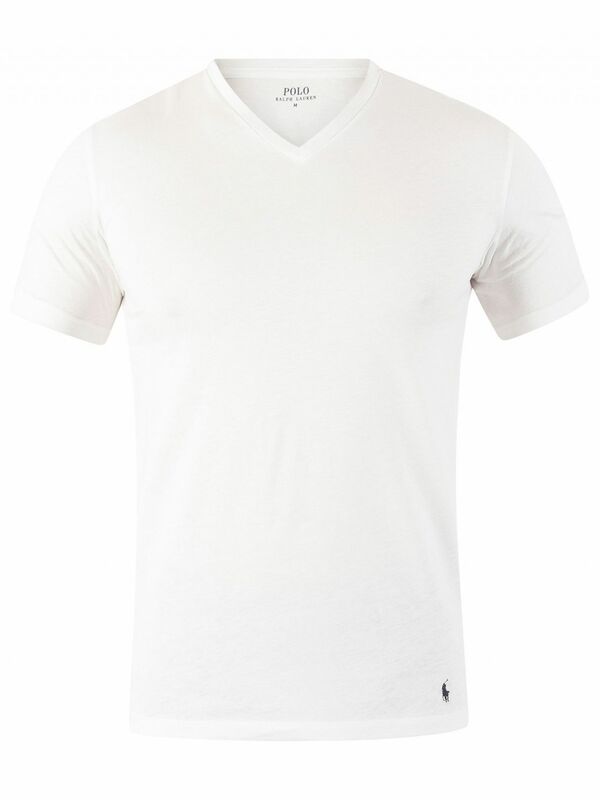 It features v-neck design and short sleeves. 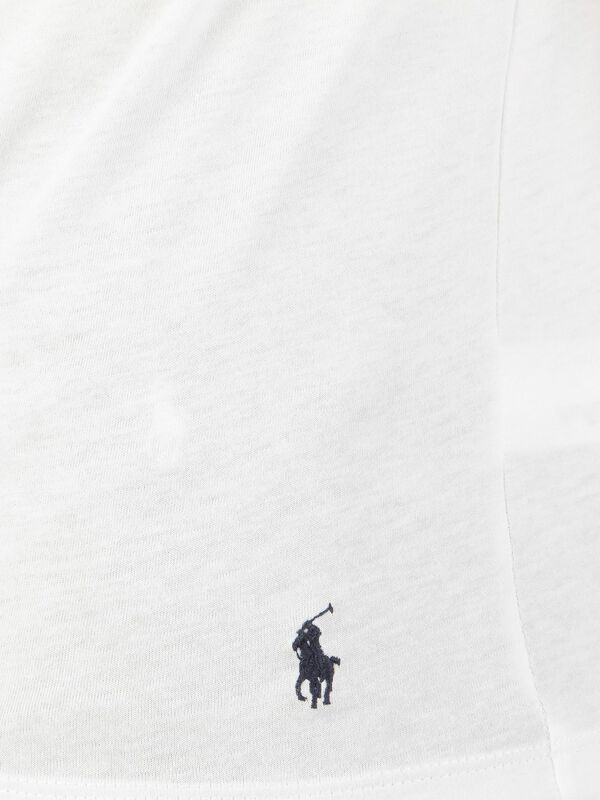 It comes from the Polo Ralph Lauren sleepwear range.